SnapCacklePop: Hurts drop video for Some Kind of Heaven..! 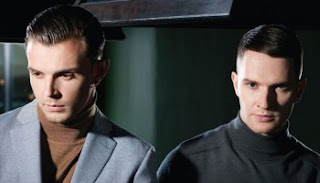 Hurts drop video for Some Kind of Heaven..! The British duo Hurts are releasing their single Some Kind of Heaven in Australia and we can not contain our excitement. Theo and Adam return to the musical spotlight with their third album Surrender that is scheduled for release 9th October. Hurts teamed up with long term collaborator, Jonas Quant to produce the new single, crafting a glorious slice of pop, layered with sublime vocals and an intensely catchy hook. Check out the new video and get your copy of the single or pre-order of the album on iTunes now..!